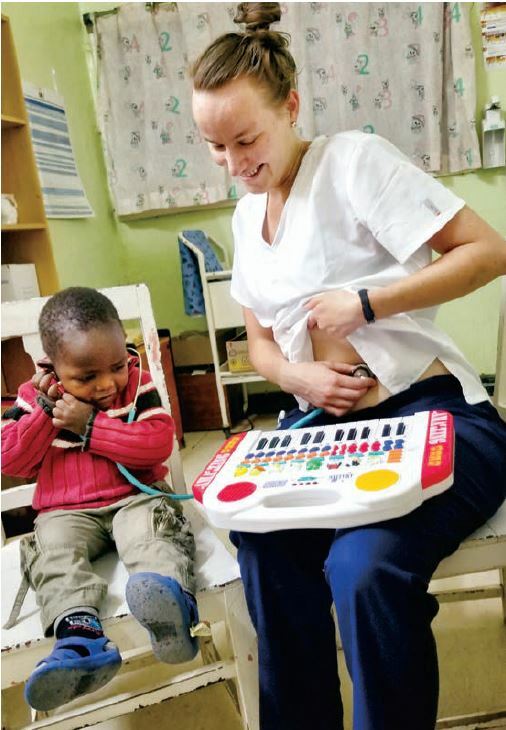 Joanna Oleksik is one of our international volunteers serving as a nurse at the Mutomo Mission Hospital in Kenya. 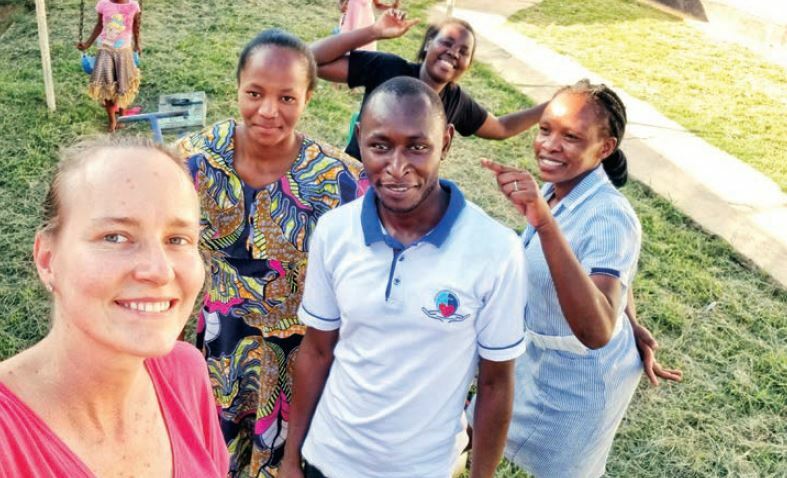 In the following reflection, “Kenya Chose Me,” Joanna speaks about what inspired her to pursue a career in nursing and eventually to dedicate her time to serving the most vulnerable. 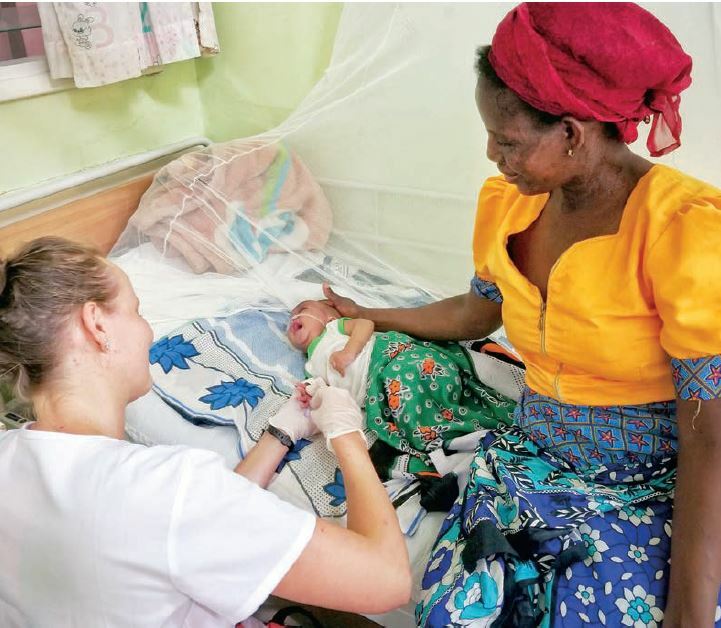 Today, she is a volunteer nurse with the Catholic Medical Mission Board [CMMB] in the village of Mutomo in Kenya, both learning and teaching in a different culture. Her parents grew up in Poland, and she remembers her mother sharing memories of standing in long lines there with ration cards to use for basic necessities. She said she was drawn to the nursing program at the University of Mary because of its Catholic identity: “The University of Mary can provide a private education that’s competitive in cost. “I feel like I got my education that prepared me for the real world as a nurse; I feel grateful for the education I received. Joanna chose to apply to CMMB and initially spent three months working at Our Lady of Lourdes medical mission in Kenya. 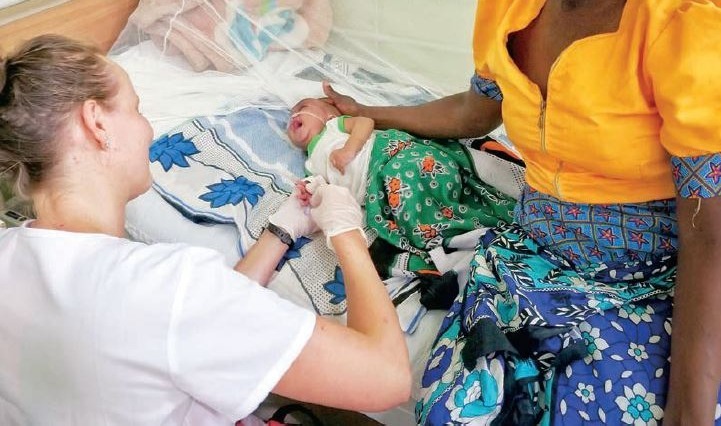 After four months back in the U.S., she returned to Kenya in November 2018 for another six months in the hospital’s pediatrics unit. “The mission hospital is much more like walking into a hospital here than I imagined. But you don’t find a CPAP machine, a ventilator, or IV pumps—all just drip tubing. There’s no way to do a culture and sensitivity on lab results, and the hospital is open air. Getting patients specialized care means the challenge of either money or disease. “In the U.S., all kinds of interventions are available when a child struggles to breathe, but there the only option is to provide oxygen in portable tanks,” she said. Her house is equipped with a single burner to cook on and a refrigerator, which often goes off because the electricity is unreliable. She’s just learned not to make a lot of leftovers that might go bad, she said. “In Kenya living simply and serving others is the given,” Joanna said. “That’s what I do when I’m there. And living that way will not be easy.